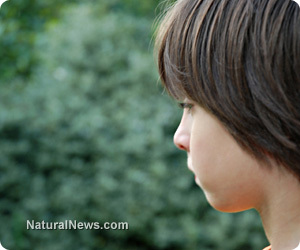 (NaturalNews) Linked with a laundry list of disorders, heavy metal toxicity is the bane of modern health. To make matters worse, detoxifying from these metals can create more harm than good when the toxins are mobilized to more dangerous regions - such as the brain or heart. A painful healing crisis can also occur when our eliminatory pathways of the skin, lung, liver, kidney and bowel are impaired. And chelating therapies like DMPS, DMSA and EDTA are rife with harsh side-effects for those with compromised systems. So how do we detoxify safely and gently? Nanocolloidal Detox Factors (NDF) may provide an exceptional solution. According to the Simon Clinic in the U.K., NDF removes heavy metals through a process called Mucopolysaccharide Ion Exchange Resin (MIER). The nanonized chlorella in NDF bonds with toxic metals without stripping the body of essential minerals, like zinc and magnesium. NDF also crosses the blood brain barrier (unlike traditional drug chelators such as DMPS, DMSA and EDTA), which effectively detoxes heavy metals from the central nervous system. Nanocolloidal Detox Factors can be used daily, and safely eliminates up to 920 percent more metals per month than conventional chelators. Another unique feature of NDF is that it removes 95 percent of metals through the urine, instead of through the bowel, thereby protecting against reabsorption in the colon. The Simon Clinic also reports profound results in the use of NDF, including: the disappearance of "brain fog," lifting of lifelong depression, improvement of ataxia and complete remission of tremors associated with Parkinson's disease. Additionally, Dr. Timothy Ray, OMD, provides several case studies regarding the effectiveness of NDF. In one lab release, a 14-year-old boy with Autism Spectrum Disorder started a detoxification protocol with IV DMPS chelation and Hyperbaric Oxygen Therapy over a three-month period. Unfortunately, the boy's mercury levels were still high. The family then changed tactic and began a protocol with NDF and oxygen therapy. After the boy had been on a full dose of NDF for just over a month, his mercury levels dropped to within a safe range (4.6 ppm). Another example involves a six-year-old boy with Asperger's Syndrome. The boy was on a gluten and casein free diet, but did not experience any noticeable therapeutic benefit. He then started treatment with NDF and began seeing improvements within five days. After six weeks, the boy was able to form complex sentences. Several weeks later, the mother said her son has had the best two weeks of his life so far, and has since returned to a normal school. "There are extensive successful case histories and documented laboratory studies that conclude that NDF is a safe and efficient heavy metal detox remedy. For example - in patient "DS" the levels of mercury went from below detectable level to dangerous levels, the aluminum excretion in the urine increased 200 percent, the cadmium excretion increased 137 percent, the cobalt excretion increased 141 percent, and the nickel excretion increased 203 percent using a urine Toxic Element Profile before and after a challenge dose of NDF 5ml." Dr. Kaslow continues, "[i]n addition, reports that I have been getting from patients using the product according to the guidelines in this handout have been very positive. This is no guarantee and not everyone reports dramatic benefit, but at worst the follow-up lab work suggests a lower body burden of heavy metals."